The publisher has nearly a dozen new titles in the works as well as big reveal for E3 2013. 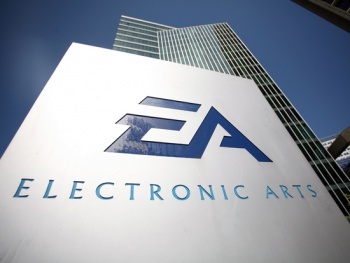 Between the resignation of its CEO following substantial financial shortfalls, the company's repeated capture of the Worst Company in America award and a bevy of layoffs and closures impacting several studios under its banner, 2013 has kind of sucked for Electronic Arts. Some, of course, might argue that this is all just karma for debacles like the deeply troubled launch of SimCity in March. Whatever your take on it, many would probably agree that EA has a lot of work ahead to pull its fat from the fire. The publisher, in turn, looks as though it intends to come out of its recent troubles feet on the floor and running. EA has apparently been prepping a "great reveal" for this year's E3, which could include new games from Bioware and DICE. Despite recent layoffs, it is also promising a string of major releases that should all arrive before the end of the fiscal year. "In fiscal 14 we will release 11 major titles across consoles and on the PC," said Frank Gibeau, president of EA Labels. "This includes our core sports titles, Madden, FIFA, FIFA Manager, NBA Live, NHL and NCAA Football, as well as Need for Speed, Battlefield, Command & Conquer and from our partners at Insomniac, Fuse." One of the eleven games will include The Sims 4, which EA announced a few days ago. In addition to the promised eleven console and PC games, consumers can also expect fifteen mobile games to be released within the same time frame. What gamers shouldn't expect to see are any new Star Wars games. Despite EA's recent multi-year, exclusive licensing agreement with Disney, it apparently has no plans to release any Star Wars games in the near future.